The Farrell family is once again faced with another round of personal, professional and emotional challenges. And again, what happens to one Farrell family member affects every Farrell from grandparent to grandchild. Family dynamics are challenged when the titles of uncle, brother, son, and nephew are challenged. This tale of the Farrell family saga deals with the triumphs and trials of the grandsons of Michael and Lita, Josh and Andy. These two young men are forced to deal with long suppressed family secrets that put relationships at risk as family loyalty is questioned and challenged. Added to the turmoil, is the idiocy and trauma of a pending war that alters career choices, home sites and even their very physical existences. Just as during the U.S. Civil War, when brothers had to leave home to defend what they believed in, this new generation of Farrells is forced into unwelcome actions and reactions that separate families. Their daily lives of ranchers below the beautiful Grand Tetons of Wyoming are left behind. Circumstances force them into action against an enemy, taking them into an air and land warfare in the Far East. This generation of Farrells, must learn to pilot airplanes and handle weapons of war far more deadly than their usual weaponry of a rifle holstered on the saddle of their horses. They face challenging of horrific loses and garner unwanted memories that threaten to take down an entire generation of Farrells. I hope this family continues to touch your heart and that you’ll want to read on to discover how this next Farrell generation copes with the changing times as they search for their generation of love, happiness and peace in their lives. This book takes the Farrell family into the next generation as it focuses on two of Michael & Lita’s sons, Stephen & John. When Stephen brings his city born, wife from the security of Washington D.C. out into the Wyoming wilderness, the stage is set for action and reaction. Family loyalties are challenged and, as always, what happens to one Farrell affects the entire clan. Oaths are threatened and brotherhood is tested as readers follow this family in their continual pursuit of justice and peace in their lives. The Farrell clan has moved on from their days of avenging wartime atrocities. They are now responsible ranchers working their herds amid the wilderness beauty of verdant meadows and untamed mountain streams beneath Wyoming’s Grand Teton Mountains. Deborah’s Story revisits the relationship of the youngest Farrell brother, Danny, and his estranged wife, Deborah. The former lovers are presented with an opportunity, or risk, in dealing with a chance for reconciliation. But, as with all opportunities or risks, situations arise that bring challenges. 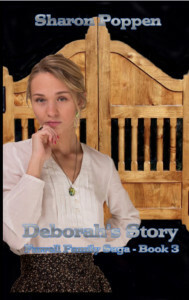 In Deborah’s Story these challenges include dealing with a resentful and jealous daughter, a stepson hell bent on becoming his own man and skepticism from members of the Farrell brothers. 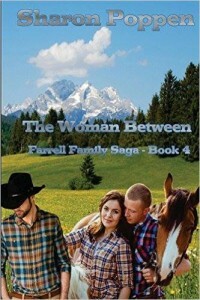 The author’s hope is that this family continues to touch your hearts and that readers will enjoy reading how the brothers fare as husbands, fathers and ranchers in this rambunctious continuation of the Farrell Family adventures. 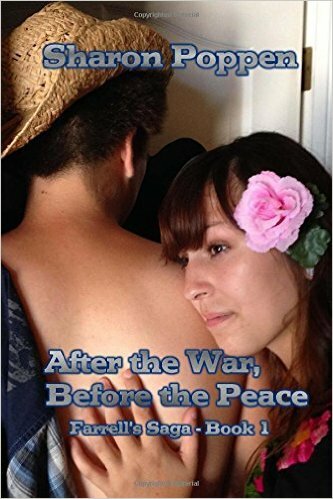 In After the War, Before the Peace – Book 1 the saga of the Farrell Family began. In Lita-Going Home, the Farrell Family has moved on from their days of avenging wartime atrocities and are preparing to relocate to an area near Jackson, Wyoming. Michael Farrell has married Lita Villasenor and they are expecting a baby. Michael has Lita’s full support in the move from Mexico to Wyoming, but Michael feels that she needs one last visit to her family before making the move. Against discouragement from the family, he and his brother, Joe, embark on a journey down into Mexico where moments of both happiness and horror challenge that decision. 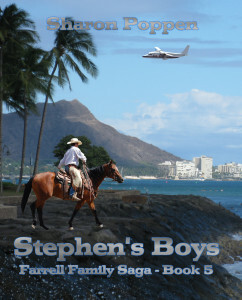 I hope this family continues to touch your heart and that you’ll want to read on to see how the brothers fare as husbands, fathers and ranchers in this rambunctious continuation of the Farrell Family adventures. Summary: Follow four South Carolina brothers, post Civil War, attempting to avenge atrocities done under the guise of war. The saga takes them on a journey to manhood, love and peace with respectability. Read More. Recently discharged Viet Nam veteran Danny Lawrence was back in Sparta, Texas after serving two years in the Army. Drafted shortly after high school, he was now ready to take his place in the family ranching business, find a wife and start a family. It was June 1971 and it seemed everyone had come home for summer. Most of the local girls were already married, but several had gone away to colleges. At a July 4th dance at the local armory, a former classmate and much sought after high school cheerleader spotted Danny and asked him to dance. She had just finished her junior year at an Ivy League university back east and had brought some friends home for a taste of Texas hospitality. She insisted Danny meet them. One look at Amy Harrington swept Danny off his feet. His heart took control. Her three-day visit extended into a week. Danny monopolized her time. The night before she was to leave, he asked her to marry him. Surprisingly, she said yes. All Danny could see ahead was love, happiness and foreverness. Reality had something else in store for Danny and it came in the form of a cold, interfering mother-in-law, a wife who mentally and socially was still a child, and a misguided heart that believed that patience and understanding could make everything all right. Available at www.amazon.com in print and ebook format. Scottish soldier Robert Stewart and French girl Charlotte Roussard have a chance encounter shortly before the start of the Second World War. 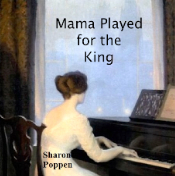 A gifted piano prodigy, Charlotte is attending the Paris Conservatory of Music. It was love at first sight for him. After a brief courtship, they cross her parents, marry and move to Canada. Robert’s wartime assignment was building the ALCAN Highway. Charlotte bears him two sons and a daughter. At war’s end, Robert moves his family to San Luis Obispo, CA and hires on with the railroad. Depressed by weather and the strain of marriage and motherhood responsibilities, Charlotte begins to lose touch with reality. When Charlotte’s mother dies, her father asks her to return to France and care for him. Against Robert’s protests, Charlotte agrees and takes the children with her. Robert remains at his job in California. The decision thrusts the children into insecurity, unacceptance and anger at their absent father. Phillip, the oldest child, becomes the man of the family as his mother slowly slips into a land of make believe. Is Phillip up to task? When his grandfather passes away, Charlotte is institutionalized leaving fourteen year old Phillip to deal with a disinherited uncle, a self-righteous church and an exploitive bureaucracy that separates the children by farming them out as menial workers. Phillip’s anger toward his father grows deeper each day. Does the father ever learn of his wife’s mental collapse, that his children have been separated and placed in the service of strangers? Does Phillip mange to reunite with his siblings? At what cost? Photographer/Artist Michael Parker from the planet Maurac is gay. Star Command Captain Tom McConnell is a heterosexual, Earthling who is married with a five-year-old daughter. While enjoying an Aspen ski vacation, Tom’s wife sleeps late, leaving Tom alone on the early morning slopes where he meets Michael. In addition to the skiing, the men enjoy conversation and espresso after their runs. Tom finds himself unnerved by an attraction to Michael. Back in San Francisco, Tom and Michael cross paths now and then. Eventually, Tom decides he misses their camaraderie of Aspen and they begin having coffee and conversation on an old pier from time to time. Again, Tom finds himself struggling with his attraction to Michael and finally confronts him. Michael declares his love for Tom with a kiss. Tom panics, punches him and nearly puts Michael’s eye out. Tom vows that whatever it was, it’s over. After Tom’s wife accuses him of infidelity, he confesses his feelings for Michael. Tom goes to Michael, who welcomes him and their relationship is consummated. Reactions range from acceptance to denial from both the straight and the gay communities. 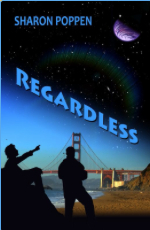 Once the men accept their destiny, ‘Regardless’ brings readers into the challenging world awaiting these two men who have fallen in love against all odds as they jointly cope with conflicted children, contrary family members, career impediments and unspeakable loss. The main characters are so strongly developed that readers experience, along with Michael and Tom, the impact of unshakable love when accompanied by unwavering trust and total commitment. Available at www.amazon.com in both print and ebook format. In 1897, Abby Barron, a young Irish-American girl, loses her cousin to a fire and with him the plans to escape Chicago to search for gold in the Yukon fields. A want-ad for a cook revives the plan and she soon hires on with Paddy and Tommy, a medicine-show man and his son. 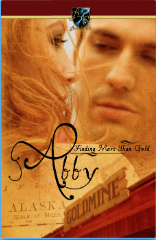 Despite Abby’s wanderlust and Tommy’s desire to settle down, the two fall in love. But it’s a long road to fulfill Abby’s dreams of reaching the Yukon–one that tests the bonds of love and uncovers long-held secrets of a family. Hannah and Caleb are young newlyweds on the plains of Texas in the late nineteenth century. They’ve staked their claim and have built a new home and a new life as cattle ranchers. 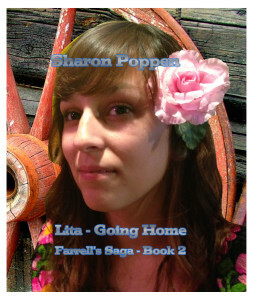 But a cloud of dust in the distance rides towards their cabin and changes Hannah’s life forever. 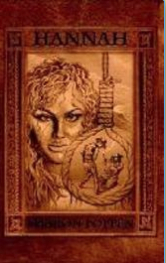 Caleb is shot and Hannah is abused and raped by a gang of rustlers. Left for dead, Hannah recovers and sets off to exact revenge. Join Hannah on her determined quest through the bordellos, churches, and shanty courts of the old west as she makes her own justice and finds a new love along the way.